UPDATED: Tue., Dec. 18, 2018, 10:16 p.m. 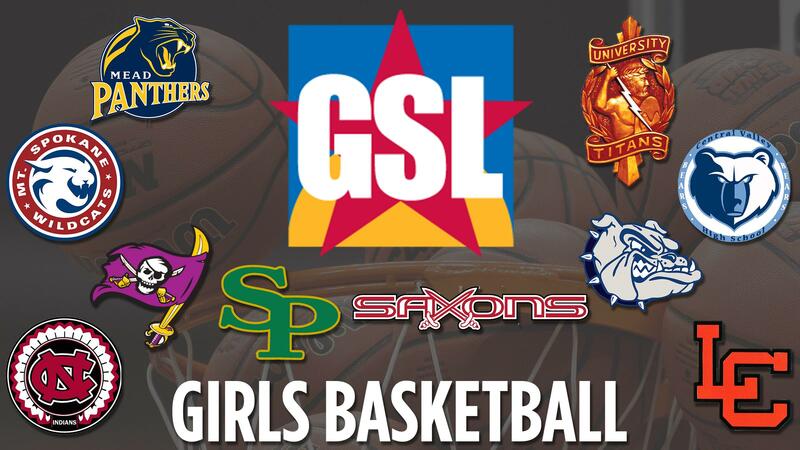 There are plenty of contenders for the title of best girls basketball team in the Greater Spokane League this season. On Tuesday, two of them met in a battle that showcased at least a half-dozen future Division I college players. One of those, Aspyn Adams, who is signed at Loyola Marymount, scored 20 points – 10 in the fourth quarter – and Mt. Spokane beat visiting Lewis and Clark 67-47 to stake a claim to that title, even though the students aren’t at the holiday break yet. “With that level of talent, early on in the season, how does that not prepare you for later,” Mt. Spokane caoch David Pratt said. “To see the back-and-forth…the score does not tell the whole story. Niveya Henley scored 15 points while Jayda Noble was on the bench much of the second and third quarters in foul trouble. Anna Reeves led Lewis and Clark wtih 13 points, Dominique Arquette had 12 and Jacinta Buckley added 11. Noble, who’s verbally committed to Washington, and UNLV-bound Buckley guarded each other fiercely on both ends of the court. Noble picked up her third personal just before the end of the first quarter, and the Wildcats led 13-6 after one. Henley drew the assignment after Noble went out and Buckley caught a spark, picking up a pair of inside baskets with a three-point play to get the deficit to six – but Henley drilled a 3-pointer on the other end. Buckley ended up with seven points in the half, with Henley matching her. Mt. Spokane’s Emma Main hit a short jumper at the buzzer, and the Wildcats led 31-27 at intermission. At the start of the third, Adams drilled a 3 to put the Cats up by eight, but on the next trip down Noble fouled Buckley on a put-back for her fourth. Arquette’s 3-pointer midway through the stanza made it a six-point game, but Adams responded with a short jumper and a pair at the line and the Wildcats led by 10. But Arquette was fouled just before the horn on a 3-point attempt and she made all three free throws to trim the LC deficit to 46-41 after three. Henley made two free throws and got a nifty feed from Adams on a jumping layin to get the Mt. Spokane lead back to nine with 6 minutes left. With just over 2 minutes left, Noble made an impact on offense again. She skied for an offense rebound, then made the put-back and the free throw to make it a 14-point game. Adams drilled a long 3-pointer next time down to make it 64-47. University 73, Rogers 7: Carolann Edwards and Kinsley Barrington scored 14 points apiece and the visiting Titans (4-3, 2-2) defeated the Pirates (0-8, 0-3). Ellie Boni added 13 points for U-Hi. Gonzaga Prep 75, Shadle Park 18: Adelyn Derzay scored 15 points and the Bullpups (6-1, 3-1) defeated the visiting Highlanders (1-7, 1-2). Julia McIntyre scored 11 points for Gonzaga Prep, while Ryan Decker and Riley Cusack each scored 10 points. Mead 64, North Central 51: Alicia Suggs scored 15 points and the visiting Panthers (4-5, 1-3) defeated the Indians (5-2, 2-1) in a GSL matchup on Tuesday. Quincy McDeid led North Central with 16 points. Published: Dec. 18, 2018, 9:43 p.m. Updated: Dec. 18, 2018, 10:16 p.m.